Don’t you love an easy project that you can finish in just about an hour? I know I do, especially because I have problems a little trouble finishing projects in a timely fashion. 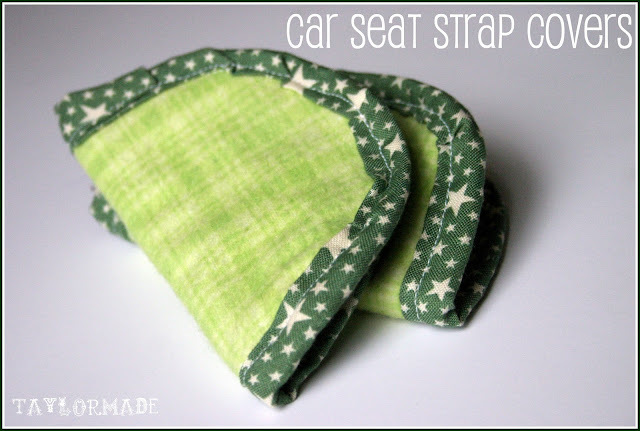 I wanted to recover baby #2’s car seat and realized that was going to lead me to my previous problem, an unfinished project. I just don’t have enough time so I though I would spruce up his/her car seat straps! Not to mention, the old straps were looking a little rough. Does anyone have the Chicco Car seat? I LOVE it but the strap covers that came on it were sewn-on which made them super hard to wash. I decided to make my own with Velcro so I could wash them easier. This project is really easy, all I did was use the existing strap covers as a template, a little quilt batting and used some existing fabric that I had. I did make my own bias tape (which is a little more time consuming) but you could just buy some for an even easier time. Here are the original strap covers and the fabric I picked out, I wanted it to still match the carrier. I used the star fabric for the bias tape. I didn’t include how to make your own bias tape in the tutorial, you can find it online or like I said you can buy it from any craft store. Lay out the original strap covers as a template. 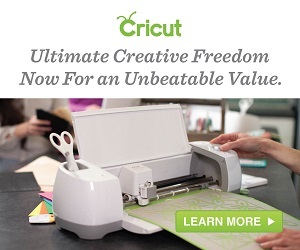 Trace onto your fabric and cut 4 new pieces. Front and back for both. Don’t forget to cut the batting for the inside of the pieces like I almost did, oops! Make (or buy) your bias tape, for the Chicco covers you need about 35″”. By the way… I have made my fair share of bias tape and I just found out that there is a cheap tool that folds the fabric for you and makes it so much easier! Where have I been? That is on the to-do list for this week. Sew the “circles” of the strap covers with wrong sides together and the layer of batting in between. So it should be fabric facing down, batting and fabric facing up in your sewing machine. Pin the bias tape all the say around on both covers and sew it on. Lastly, I used a small strip of Velcro as the closure. Here is the before and after! Not only will these be easier to take on and off, the original fabric was so scratchy and the new covers are soft fleece. I think baby 2 loves them already!